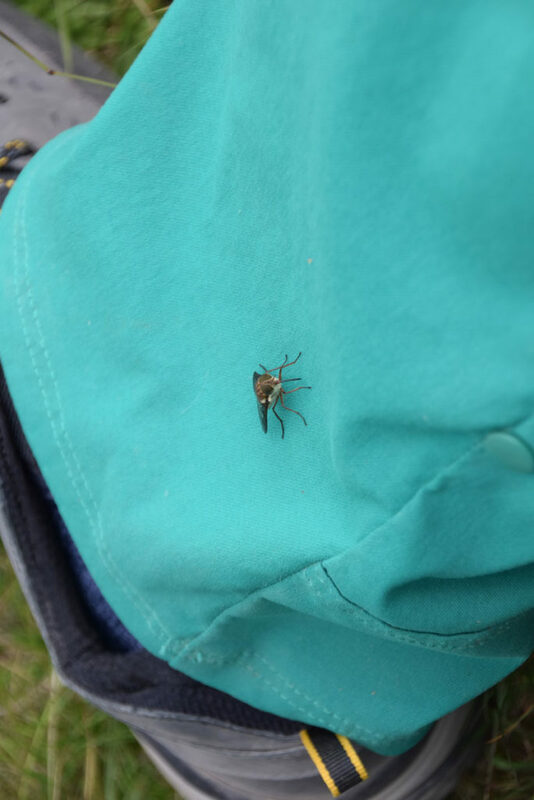 I had originally planned to do this walk in January 2018 but decided that I wanted to familiarise myself with the Main Range Walk first and was glad that I had as it made doing this walk much easier. 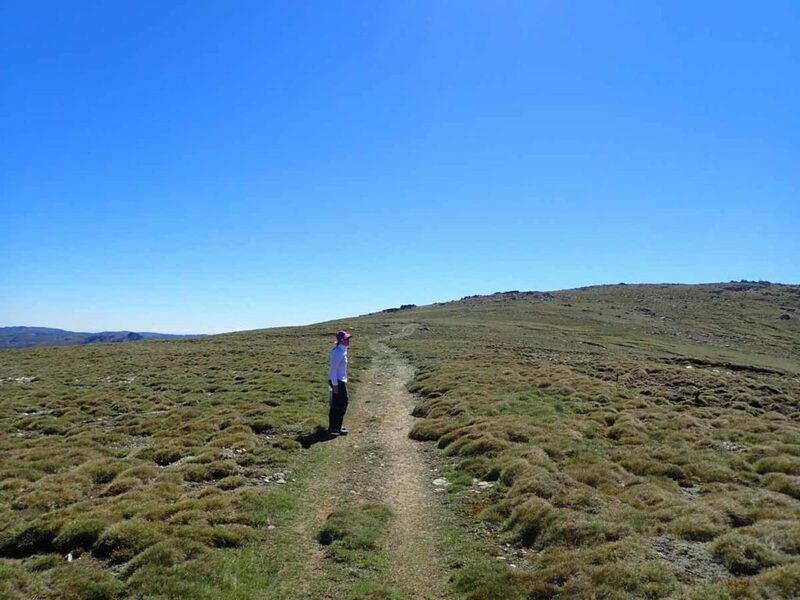 The Aussie 10 Walk, located in Kosciuszko National Park, NSW, is not a formal walking track as such but rather a 44.7km route (approximately) that uses the Main Range Walk as its central core. 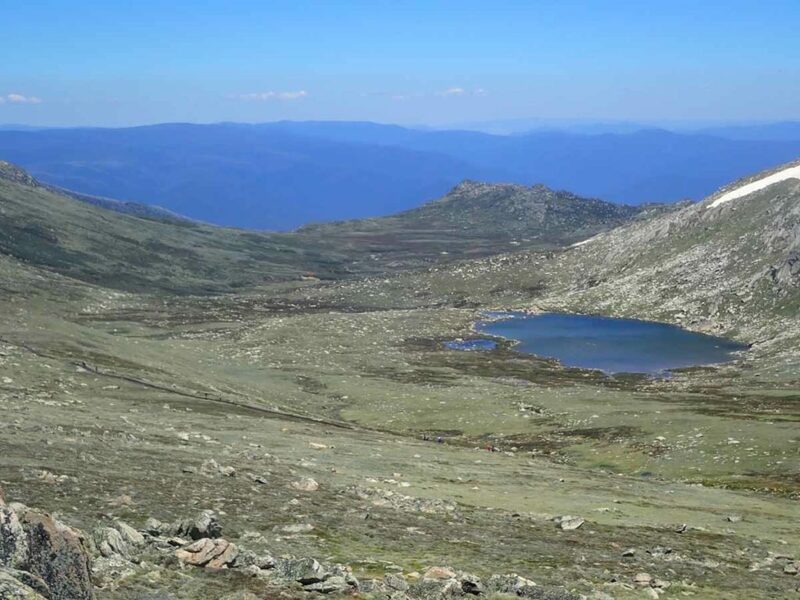 To undertake this walk you will need to walk the Main Range walking Track and head off trail to reach a number of these peaks. 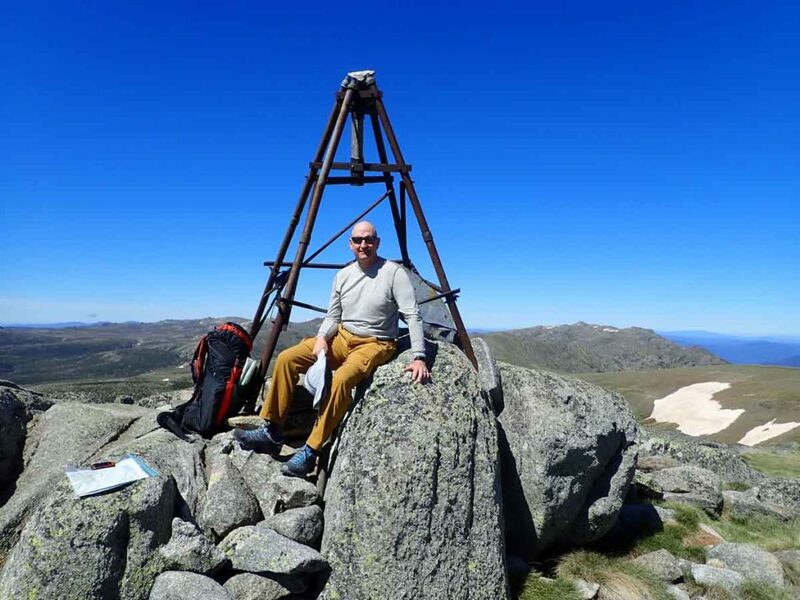 Some peaks will require only a slight diversion and are very easy, and very obvious to find, while others require a bit more of a diversion with some of the summits being hard to identify let alone pick the best way to reach the peak. The distance that I have identified for this walk is what we ended up doing however depending on how you summit the peaks this distance may vary by a few Kilometres. One thing I will say about this walk is that depending on which website or blog you look at you will see different peaks identified. Do you want to do named peaks only or are you happy to add in one or two no name peaks as well? We actually ended up doing 11 peaks, 10 of them named, and very easily could have done 12. We chose to do 11 peaks. 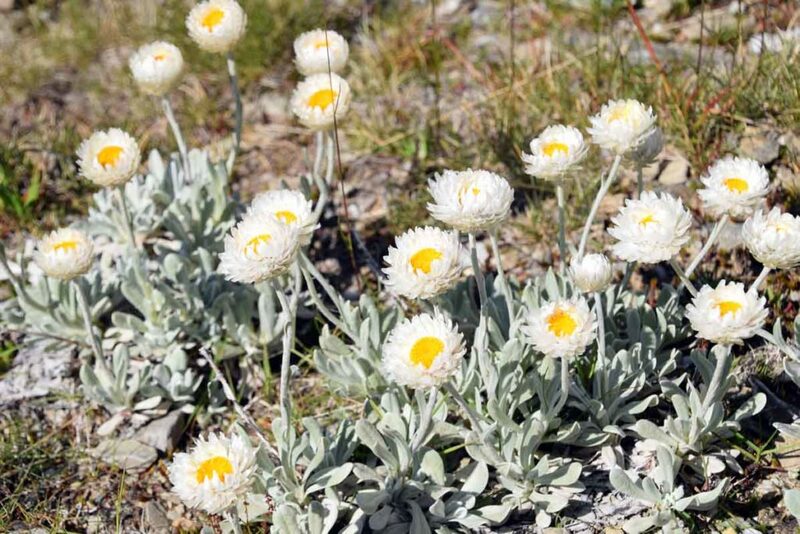 Animal life is minimal in the alps but the thing that makes up for it is the wildflowers and alpine vegetation which is different from most other areas in Australia that we are used to hiking in. The trees are almost non existent except for when you start and finish this trail. 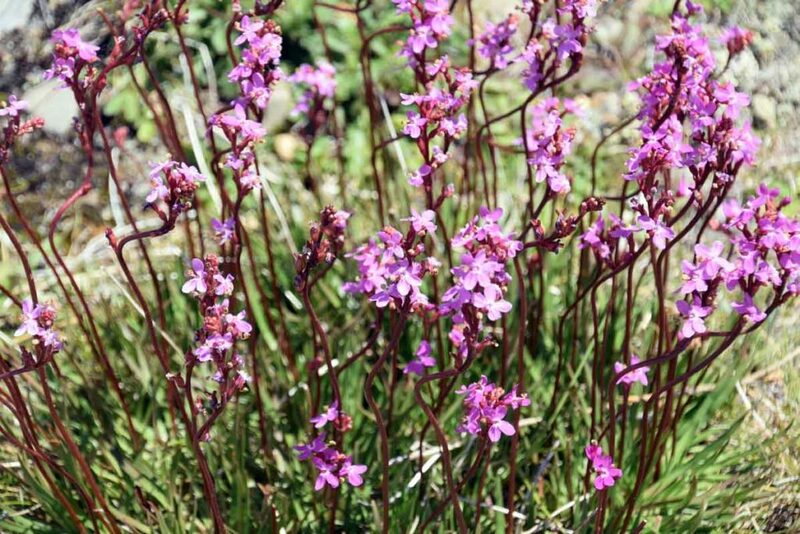 Most of the Alpine vegetation consists of grasses, wildflowers and low shrubs that cope with the extreme winter conditions. 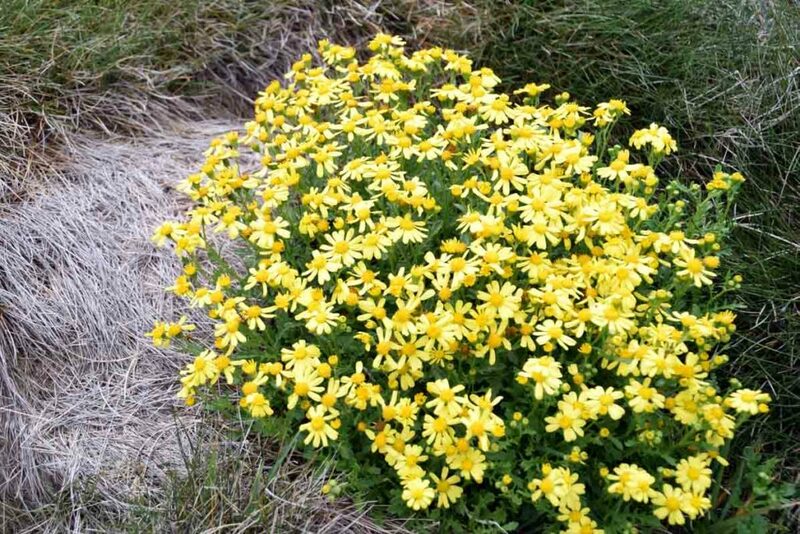 Peak wildflower season is early summer but depending on the weather you will often find that there is some snow in patches that is present almost year round and its only real in mid-late summer that you can be reasonably guaranteed to have snow free hiking. This image shows the change in altitude over the three days of out trip. Four trails start from this trail head including the Aussie 10 Walk which means that it can be busy. We arrived at about 7:00am in the morning and we still needed to park 50metres down the road. 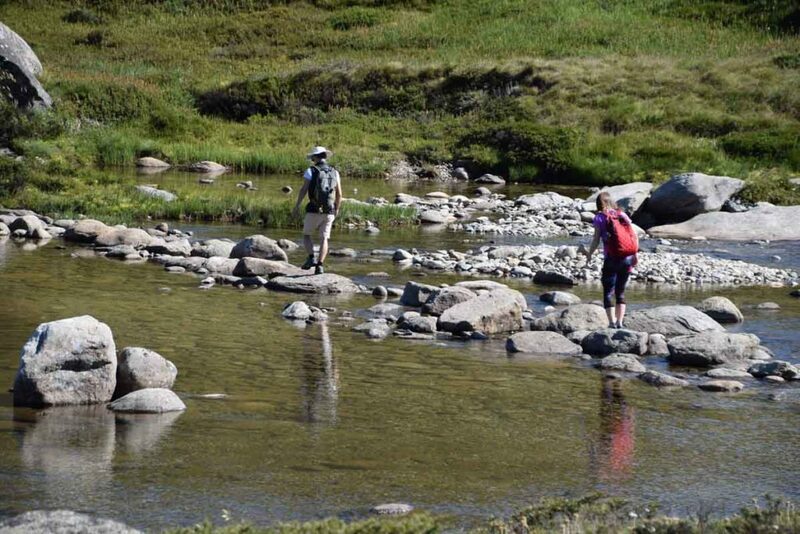 The following three day itinerary will suit most hikers who have a reasonable level of fitness. If you want to take it a bit slower either by choice or due to fitness you can just break up the days. 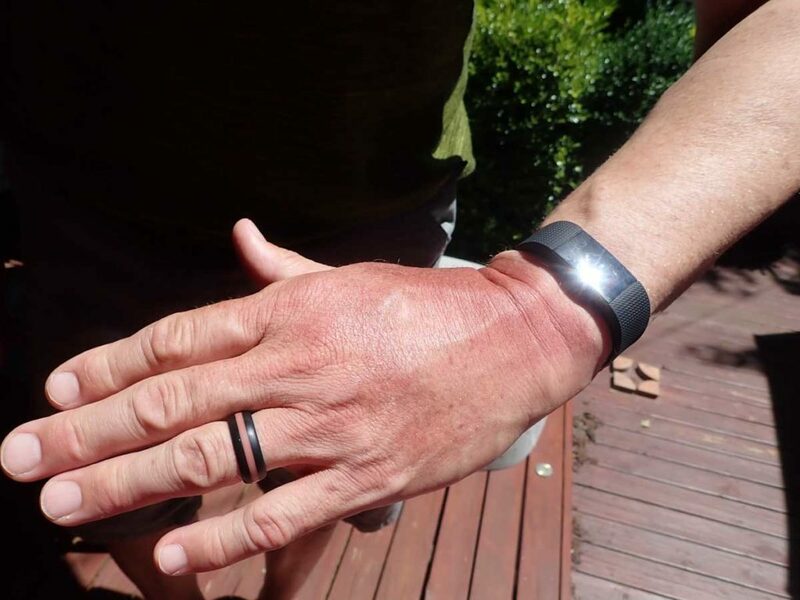 The following is how we did our trip as t reasonably fit hikers travelling at a comfortable pace. 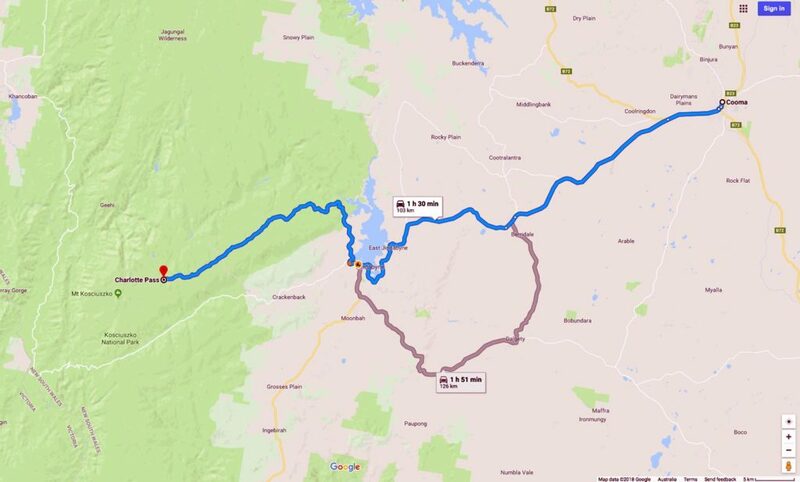 After you have parked your car along the road leading to the main trail head we recommend that you start your walk in an anti clockwise direction which means that you will have a steepish but short descent before crossing the Snowy river before your longest ascent of the trip which will take you up to Blue Lake. 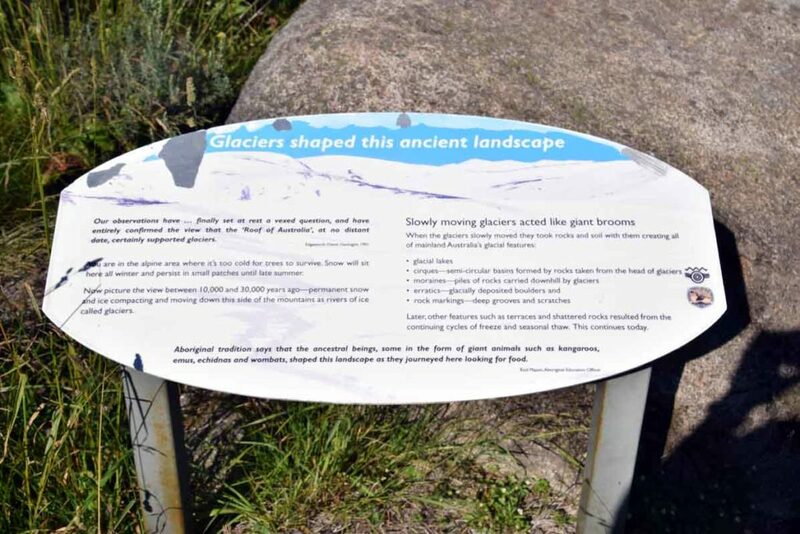 If you are doing this as a slowish walk and have plenty of time you can take the small spur trail down to the lake but be warned that you need to comeback up the hill to continue back on your walk. From Blue Lake the Main Range Trail turns to the left but its at this point that you take your first off trail detour. 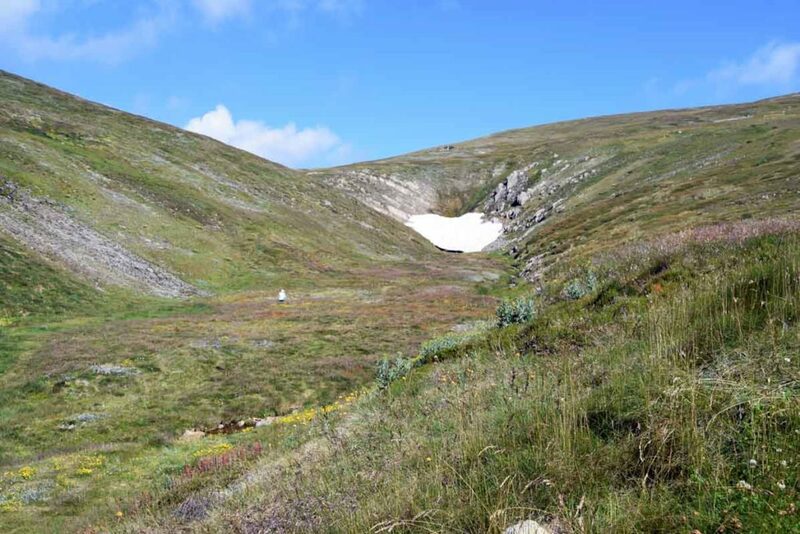 Where possible avoid the base of the valleys as they are full of little creeks and dense low growing vegetation that make walking a bit more difficult. 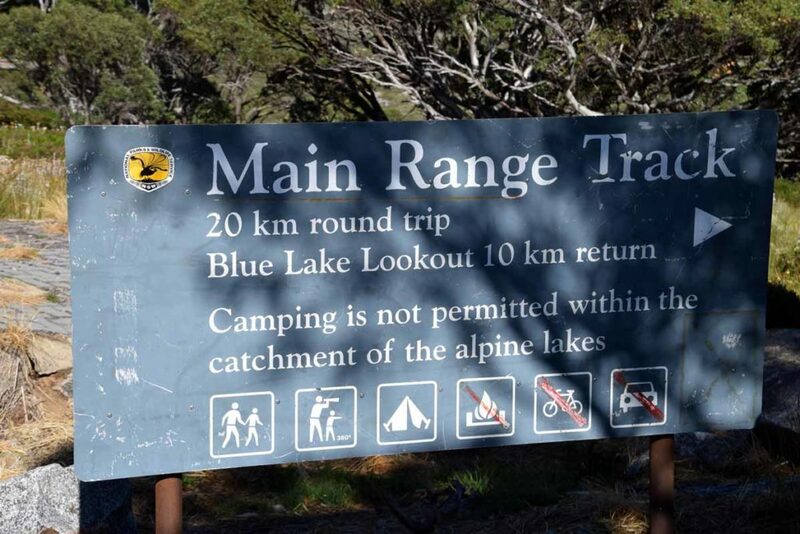 Before you head off the track take a few minutes to work out where your are going as you want to reach the high point on the ridge line that sits about Blue Lake. 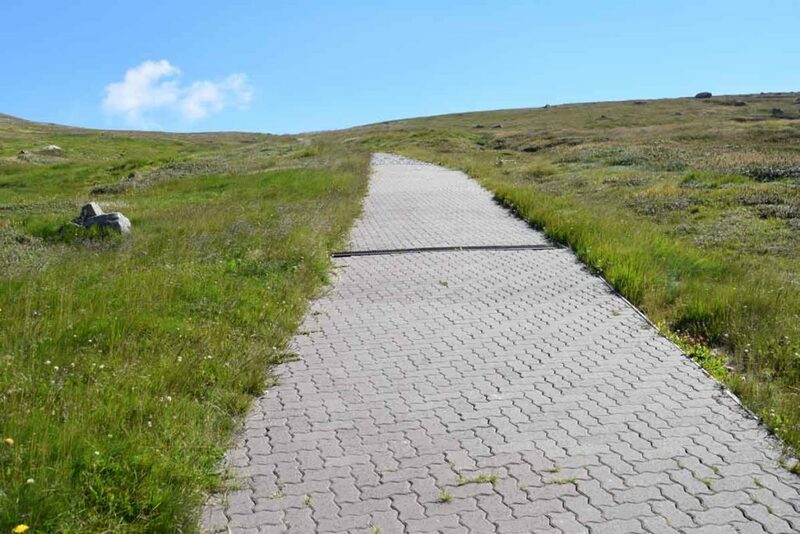 This means that you are walking off trail at least until you reach the top of the ridge where you will find an old management road that becomes obvious. From here head along the ridge and aim for the highest point which is the summit of Mount Twynam. 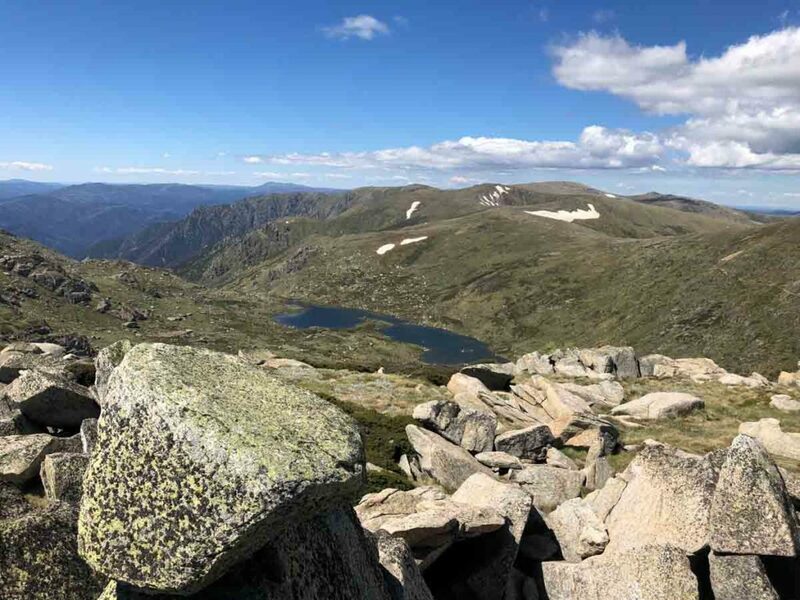 I am usually not a fan of peak bagging and avoid walking up hills just for the sake of saying I’ve done it so this was the first time that walking up hills just for the sake of it so this is the first time that I have ever reached this peak even though I’ve done Kosciuszko numerous time over the years. Having said that the blue of the sky, and the green of the surrounding landscape was some of the richest that I have ever seen so I definitely appreciated not just this summit but all of them on this trip; overall we just had perfect weather. After leaving the summit of Twynam we turned back around and headed back the way we came. It was at this time that we chose to skip one of the possible summit options which is an obvious peak (no name) located to the NW that forms one of the ridge lines coming of this first mountain. The maps show this as being on the edge of Watsons Crags. Decide if you want to do this but its really up to you. 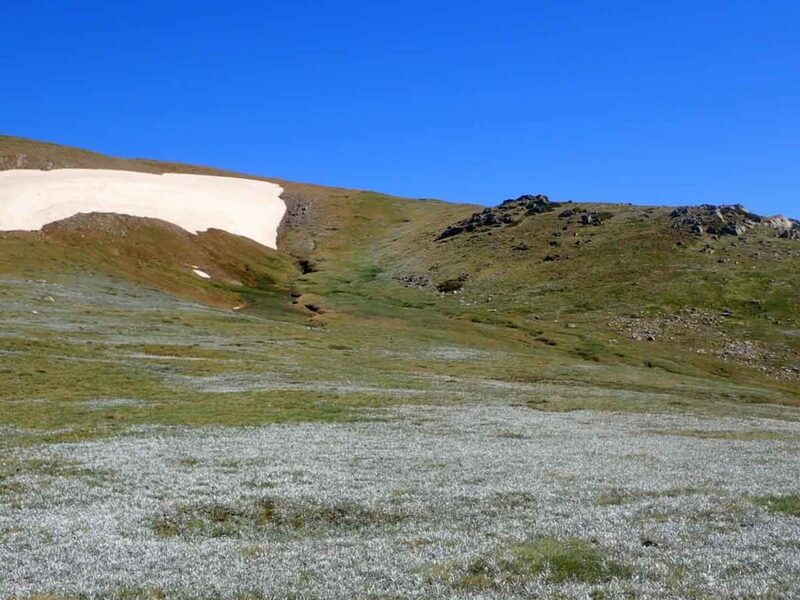 Rather than heading back down to Blue lake the way you came up you continue walking in a southerly direction which will take you down the nose of the ridge line and join you back up with the Main Range Track. 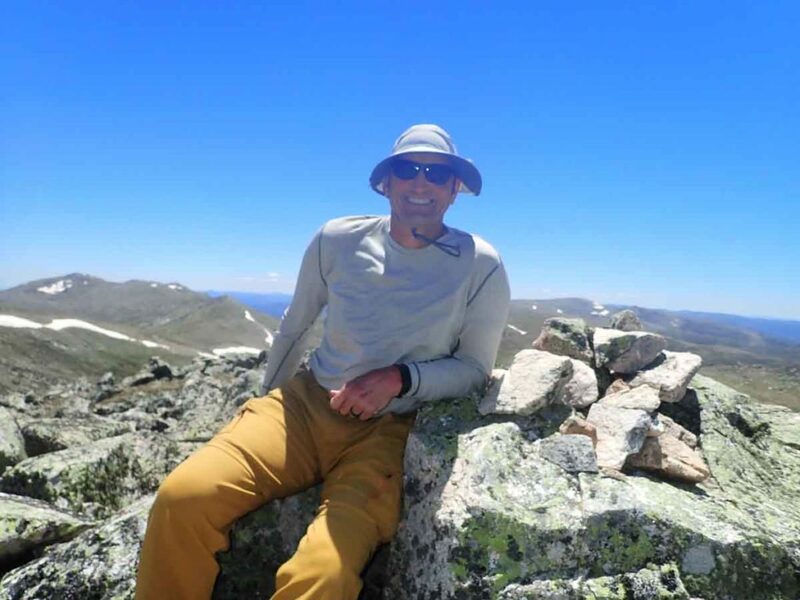 Once you are back on the formed trail then your next stop is Carruthers Peak which is one of the few summits that is located directly on the walking track. If the weather is good stop here for lunch but on the day we did it it was a bit blowy so we continued on for another 20 minutes and located a shelter spot out of the wind for an early lunch. 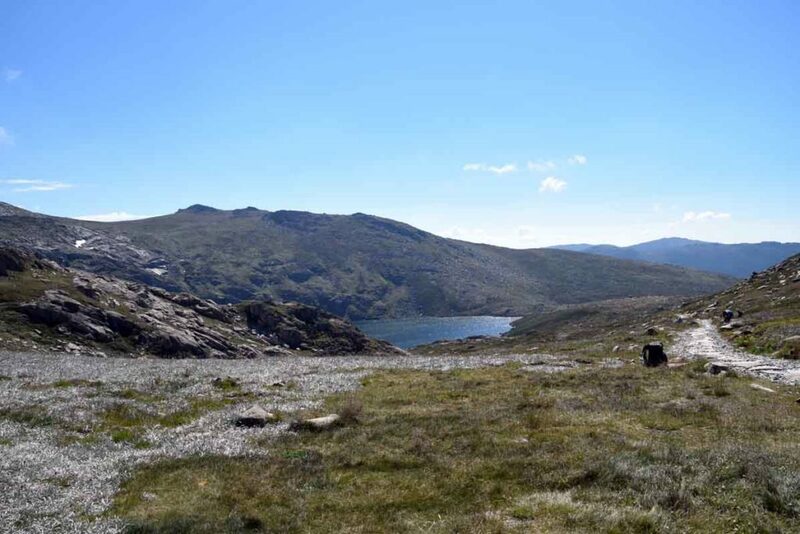 Continue along the trail and you will spot Lake Albina on the right and at about this time you will need to veer of track again following the nose of slope which is Mount Northcote. 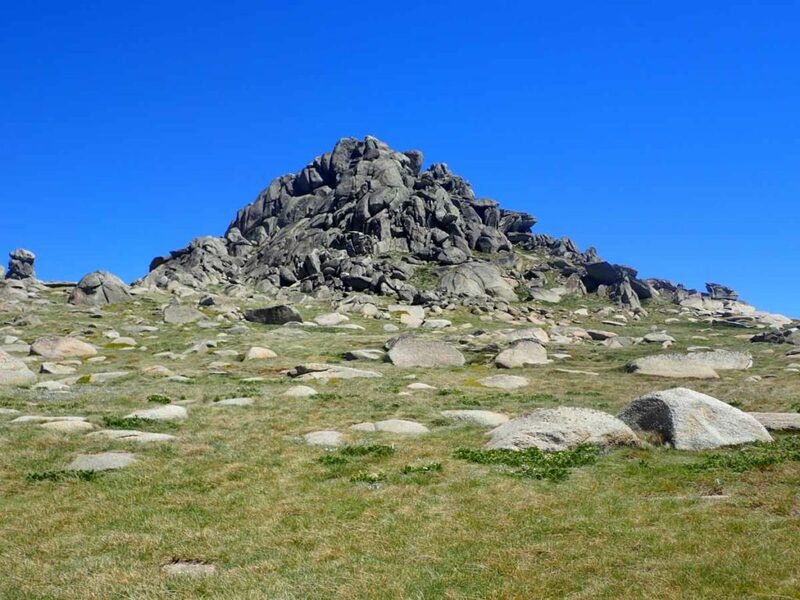 While the easiest way to ascend this mountain is from the southern end the approach from the northern side is not that difficult and the way we would suggest doing the summit. We has a bit of a lay down at this summit which is essentially just grass with almost no rock and then headed down the southern slope to join back to the trail again. Continue along the trail into you approach the saddle that would take you into Muellers Pass which is the valley over on the right hand side of the track. Rather than walk into the valley double back up the nose of the ridge which will take you to the summit of Muellers Peak. You are off trail again for the next four peaks. While you are heading up another hill this entry into the valley is actually easier than trying to walk into the valley itself which is littered with creeks and gutters which will slow you down. It’s at this stage you need to start thinking about where you want to camp for the night. If you have had enough for the day at this stage head down into the valley and find a rare flat spot to pitch your tent. There is plenty of water in the valley at this point. 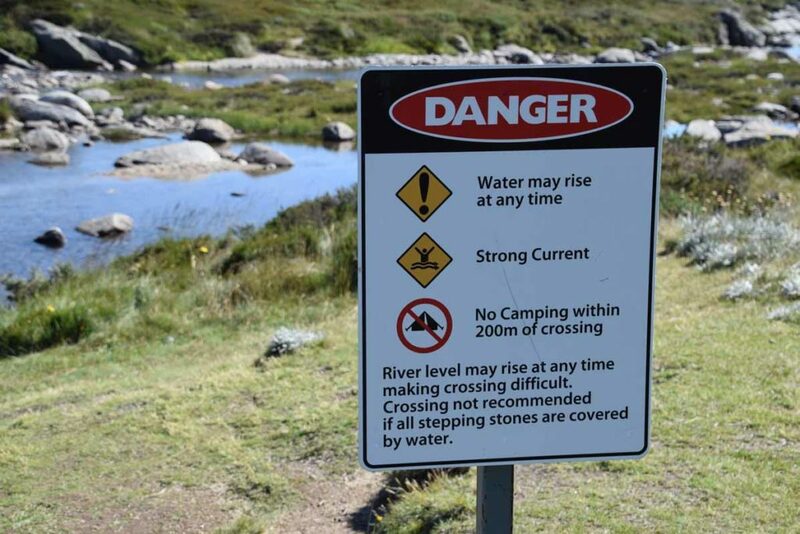 Just be aware that camping on the Lake Albina side is prohibited as this is in the catchment area so ensure that are are on the Muellers Pass side when you stop. 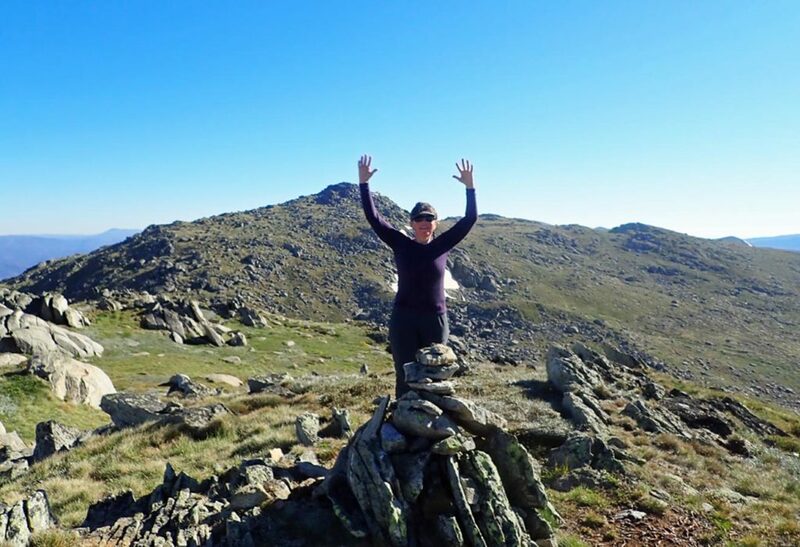 If you are feeling energetic and the days are long then keep on going, continuing your walk along the ridge line and head towards Alice Rawson Peak. On you way to Alice Rawson you will pass reasonably close by to Mt Townsend but leave this peak until you come back. The summit of Alice Rawson is really just a pimple and one of the easiest ascents of the whole trip. 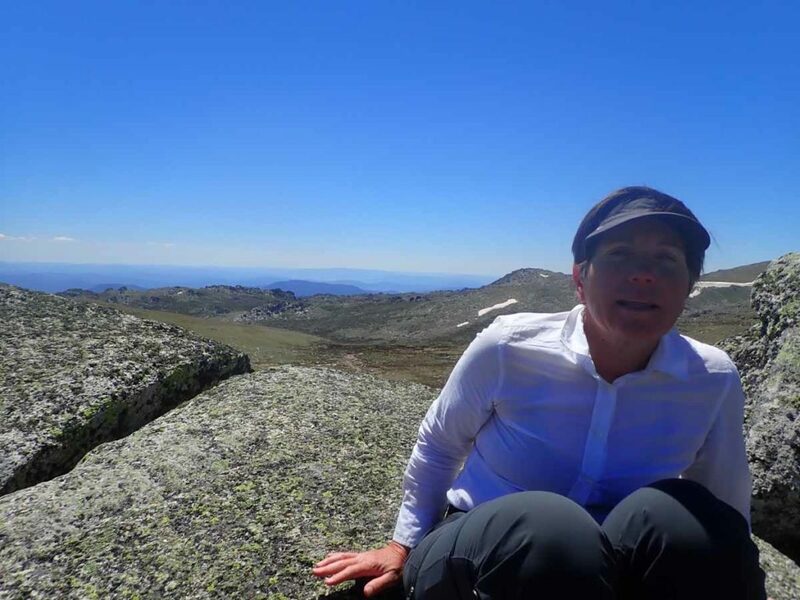 From Alice Rawson head back towards the summit of Mount Townsend (Australia’s second highest Peak). Now a word of warning here that summiting this peak can be a bit scary if you aren’t into rock scrambling as the rock surface is a bit loose. 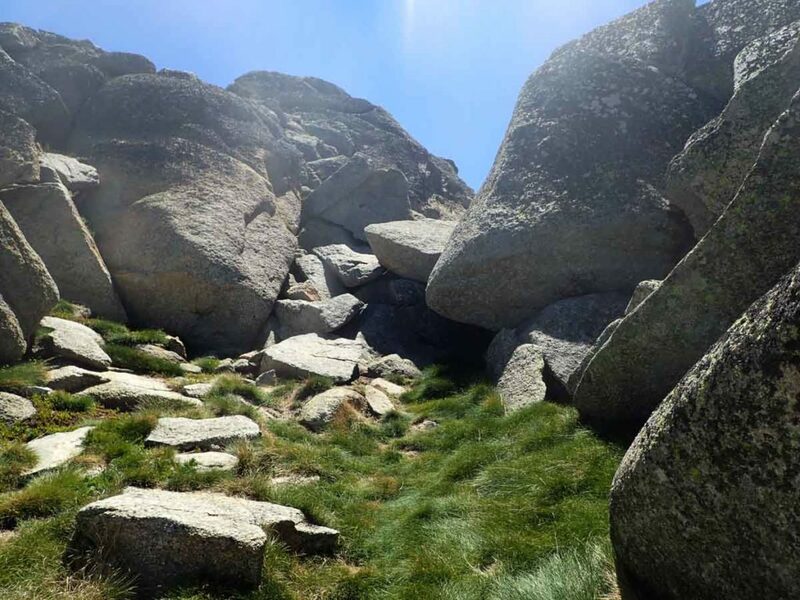 You will find the ascent route easy to spot but the easiest ascent is to loop around the summit gaining altitude as you go and approach the peak for the westerly side. Make sure that you have plenty of daylight from a safety perspective as its a bit of a steepish walk down grass and rock on the way down. You will end up in the saddle between Mt Townsend and Abbots Peak but it’s at this stage that I would suggest skipping Abbots Peak for today and head down towards the valley and turn right along the base of Abbots and locate one of a number of flat campsites with excellent views across the valley. Even if you are fit I would suggest stopping for the night at this stage because you have had a really long day by now. If you are fit you will now be six peaks down. If you have chosen to camp on the slope of Abbots Peak then you will be awoken by the sun hitting your tent, that’s providing it’s not rainy or foggy. From here leave your campsite and make the relatively short walk up to the summit. The ascent up the eastern side of this peak from Muellers Pass is the easiest way to get there. 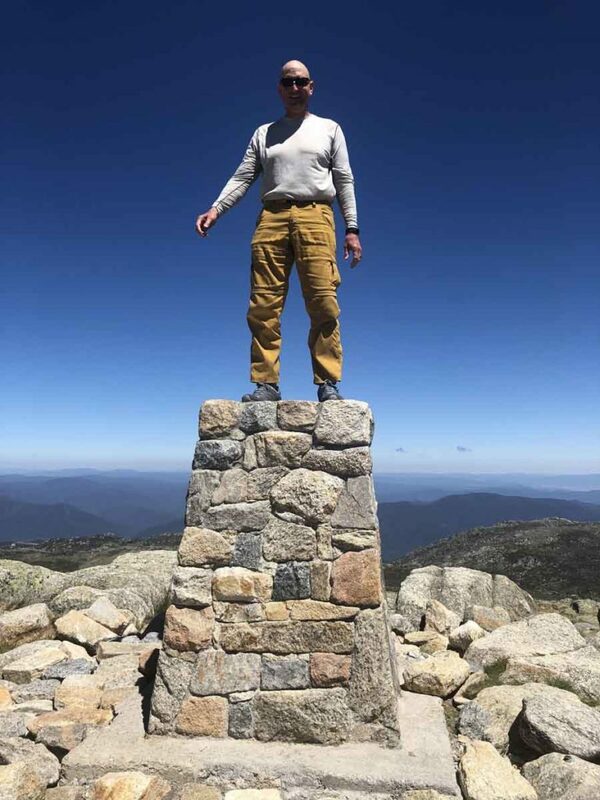 The cover image for this article is taken at the summit of Abbots peak looking towards Mount Townsend. 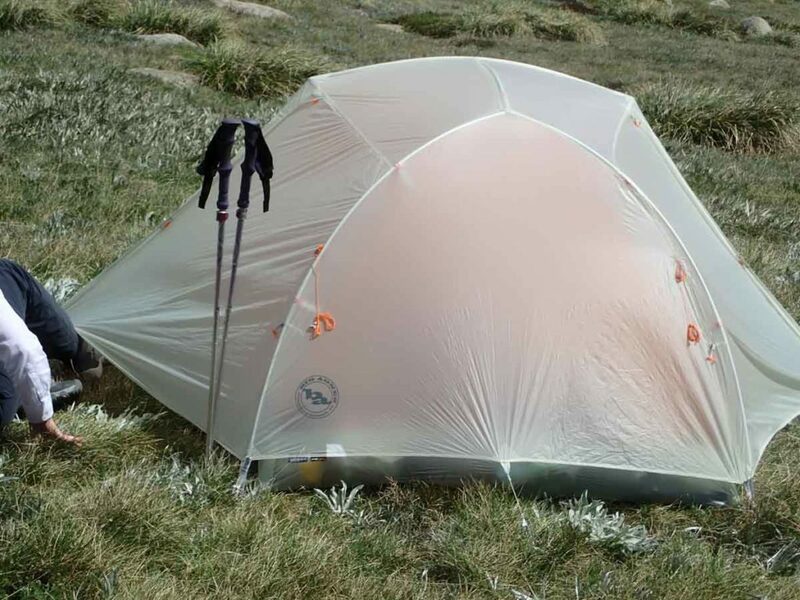 Head back down to you tent and have breakfast if you haven’t already done so then pack up your tent and head off. The best way across this valley is across the top part because as soon and you get lower down the gully and creek crossings become harder to traverse. Make your way along the side of Muellers Peak and you will come back to the Main Range trail . 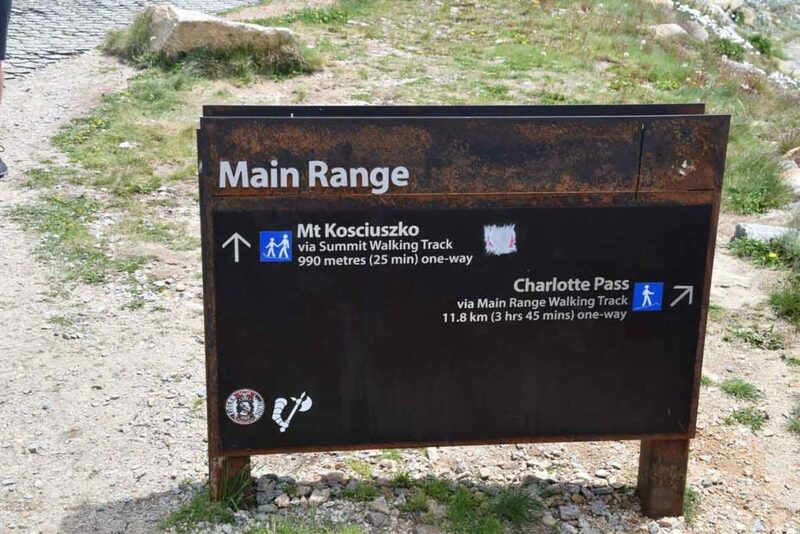 You are now heading towards Mount Kosciuszko. 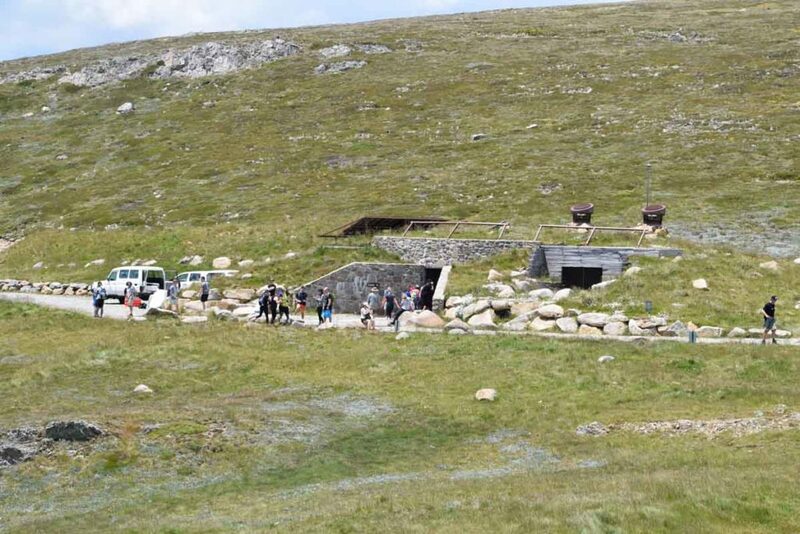 From my personal perspective the walk up to Mount Kosciuszko is some of the least interesting of the whole trip. While I appreciate the views from the summit the crowds are annoying. 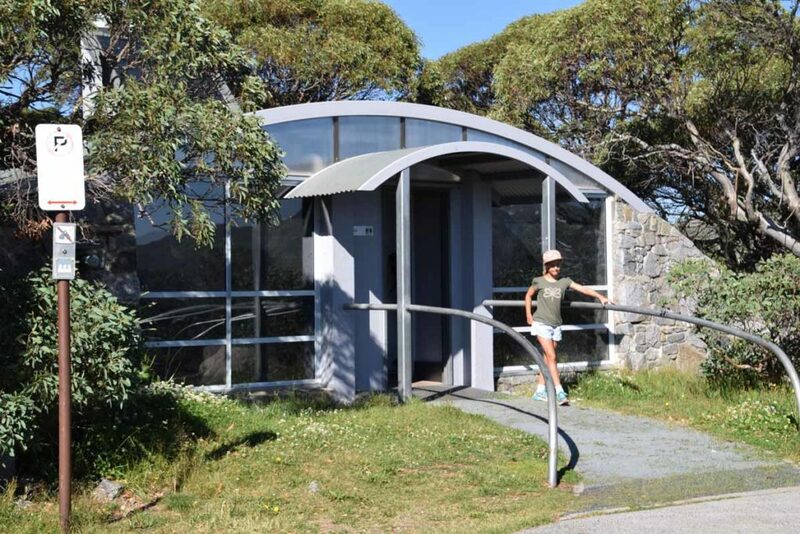 After summiting Kosciuszko head back down to Australia’s highest toilets at Rawson Pass which is a good place to stop for an early lunch. If you choose to do it the only unnamed peak that we did is the peak that is directly behind the toilets at Etheridge Ridge. 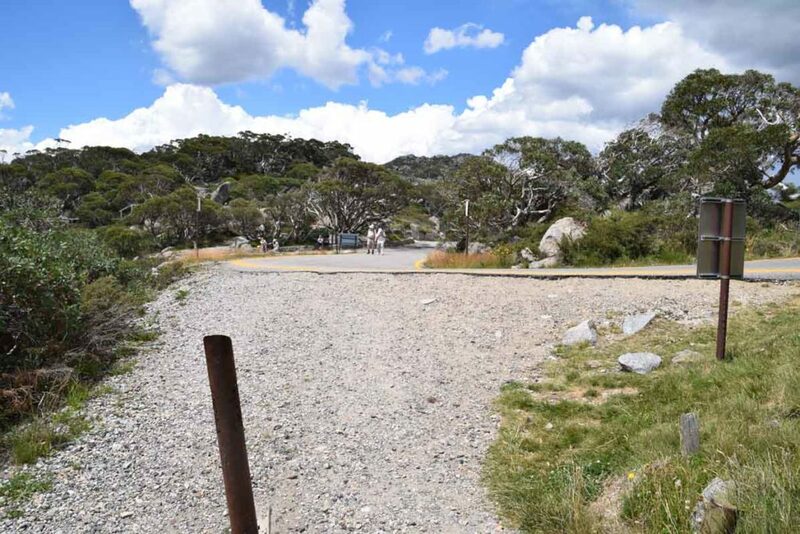 The best way to access this is to walk down the metal board walk as if you are heading back to Thredbo and then turn up the grassy slope towards the rocky peak. I would suggest dropping your packs off just before the summit. The views from this peak are Ok but if you had to skip a peak then this would be it. 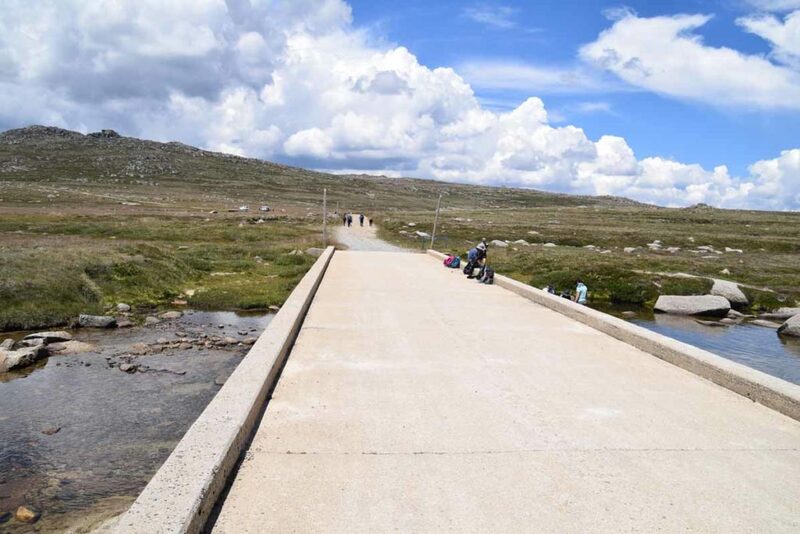 Head back towards the board walk and go past Lake Cootapatamba which sits below the base of Rams Head North. 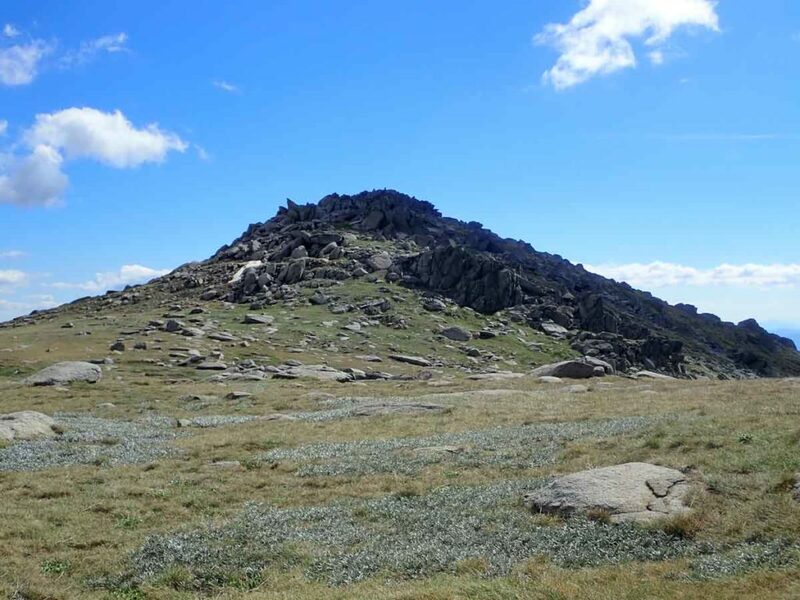 The ascent up to Rams Head North is relatively easy but you need to stand there and look at the peak and the obvious walk up the Mountain will pop out. We realised that we needed to zig zag up the hill and this got us there without any difficulties. 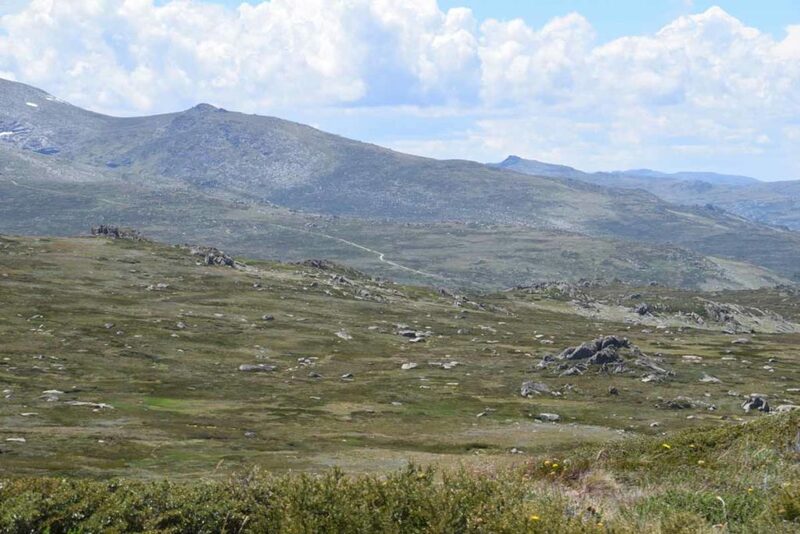 The view from Rams Head North is down towards Lake Cootapatamba below, and up towards Mount Kosciuszko. From here you can also see Ramshead Peak in the southwest which from down below looks like a hard peak to reach but only really requires a walk which undulates over the terrain. The journey to Rams Head is along the ridge line and relies on you paying attention but essentially heading in a straight line. Reaching the base of Ramhead Peak which is the last of the summits on this trip is the easy bit. You need to drop your pack off here to make your ascent. From the front of Rams Head the ascent to the summit is a rock climb and one I wouldn’t suggest unless that’s what the purpose of your visit is. To access the summit face the front of Rams Head and then walk around the left and you will come across a worn pathway at the back of the peak. This ascent requires you to rock scramble and along with the ascent of Mount Townsend is the most difficult of the trip. If you are not comfortable doing this then don’t force yourself. The views are good from this peak so if your comfortable getting up there then it’s well worth it and very different from all the other peaks. Make you way back down to the back. Job done, all peaks summited. 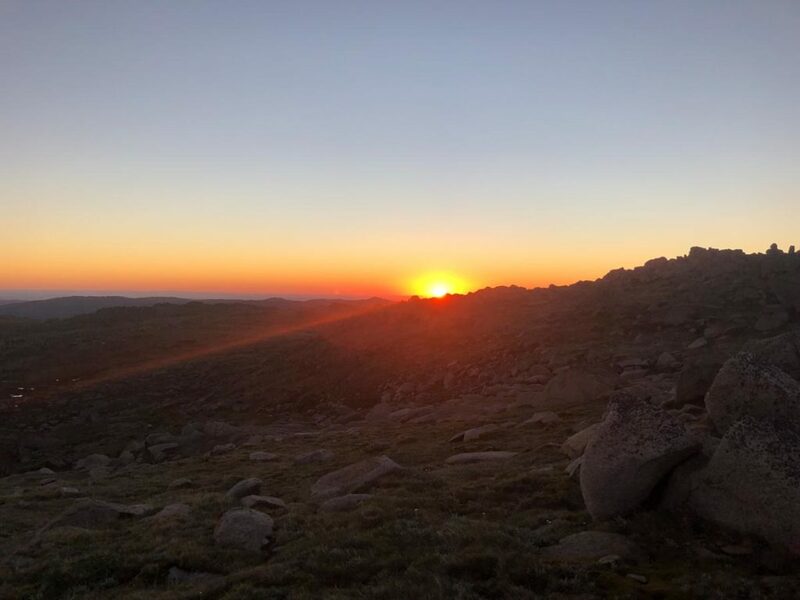 We finished Rams Head Peak at 3:00pm on the second day ( the record for this walk currently stands at 17 hours) and decided that while we could make it back to Charlotte Pass that day we then had a long drive back to Canberra so opted to camp below the peak instead. Water supply in this area is good although you won’t find any fast flowing streams. We camped over towards the edge of the plateau and had views across the valley and of the great sunrise in the morning. For us day three was Christmas Day so given that I usually wake up in the morning at around 4:30pm I got up not long past that time to take photos of the sunrise. 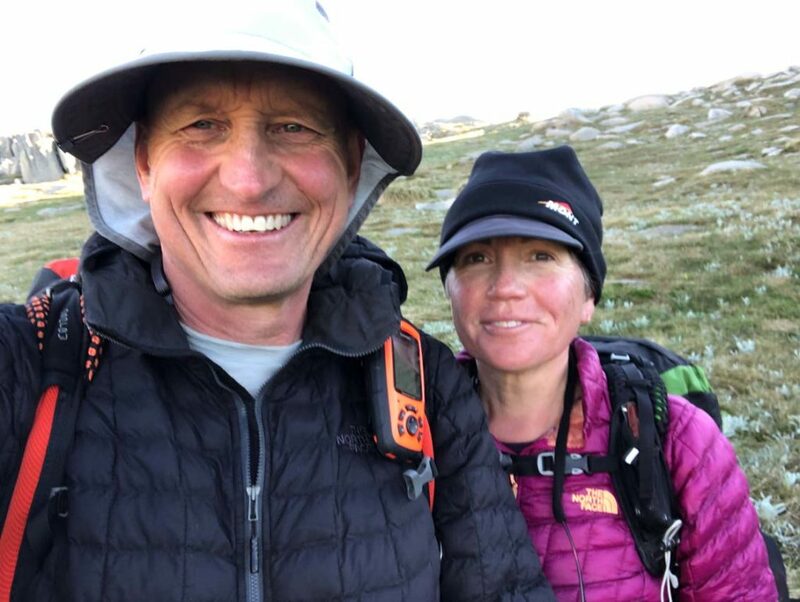 I managed to drag Gill out out of bed at around 5:30am and after a breakfast of hot chocolate and Christmas pudding we packed up our tent and headed back to Charlotte Pass. We checked our map against what we thought would be the best descent down to the boardwalk and this appears very obvious and is as you walk down a spur. once we reach the boardwalk we made the mistake of heading across the valley and while it didn’t take that long it felt like ages as we had to pick our way through the alpine scrub. In hindsight we would suggest two options. Head down the metal board walk towards Eagle Nest Chairlift and then walk along the ridge line on the right hand side of the valley if facing Charlotte Pass. 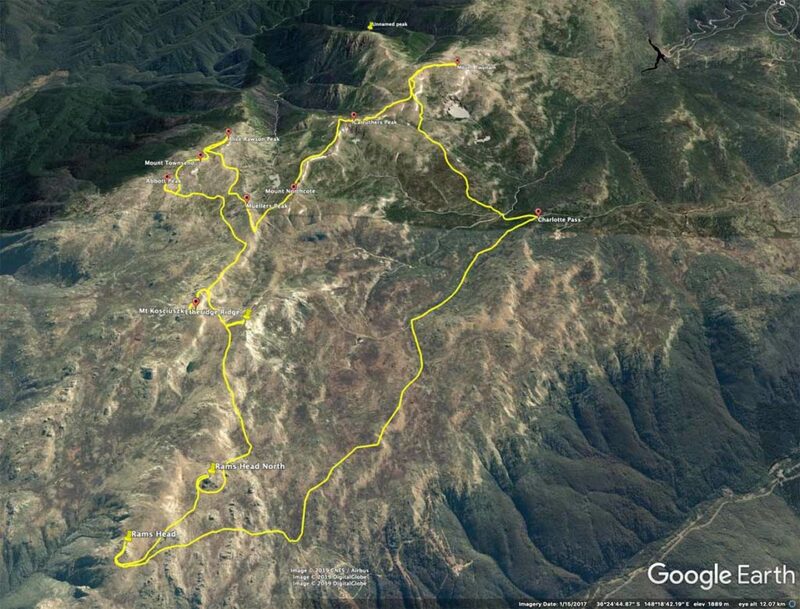 This will be cross country but has minimal scrub on the ridge line. 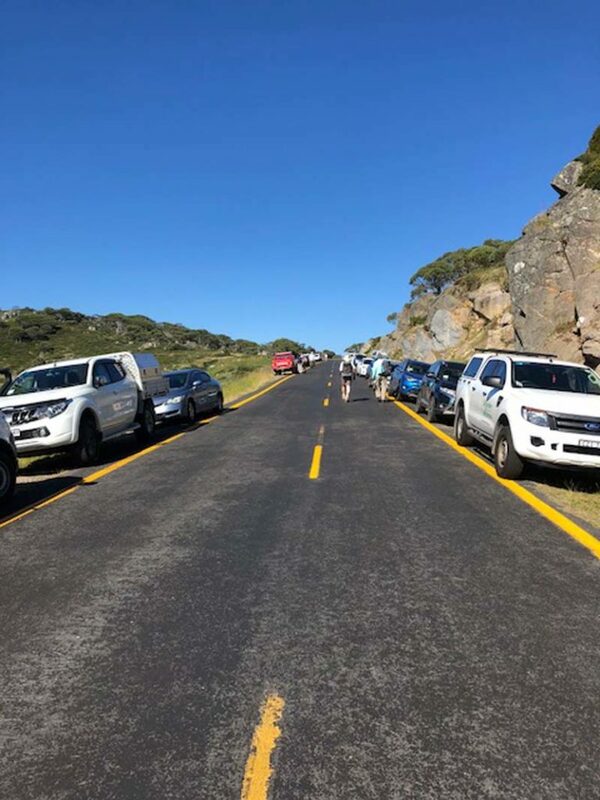 The journey from the base of Rams Head peak to Charlotte pass took us just under 2.5 hours as once you are back on the road the pace picks up quite quickly. 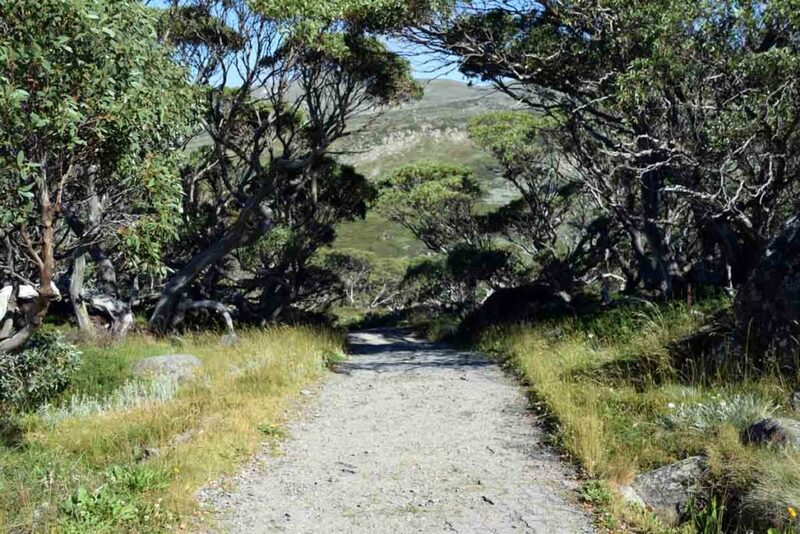 Trail finish back at the Charlotte Pass car park. The toilets are to the right and the parking is straight ahead down the road.